I’m adding two titles to my Movies You Might Not Know List. 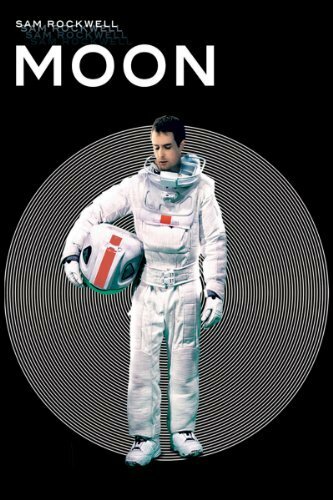 One is “Moon,” which stars Sam Rockwell as the sole resident of a lunar base that’s home to an automated mining system that he oversees with the help of a robot named Gerty (voiced by Kevin Spacey). Sam’s been up there for three years, and is scheduled to return to Earth in a couple of weeks when his contract is up. He can’t wait to get back and see his wife Tess and daughter Eve, who was born shortly after he left for the moon. He’s stayed in touch with them via recorded video messages, but hasn’t interacted with anyone except Gerty during his stay.  Naturally, something happens that affects Sam’s plans, and I won’t tell you what it is. Suffice it to say that Rockwell gives a bravura performance as he struggles to figure out what’s going on and what’s going to happen to him. It’s a little like “The Martian,” in that he’s alone up there, but the events that impact his lunar life are very different than those that plagued Matt Damon on the red planet. To say any more would spoil a movie that I think is worth your time. I give “Moon” a 7.5 out of 10. 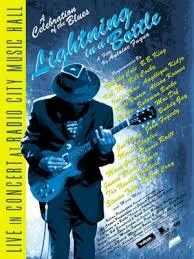 The other title is “Lightning In A Bottle,” a documentary about a one-night-only concert at Radio City Music Hall to celebrate the 100th birthday of the blues in 2004. The talent on stage represented some of the greats of the genre, including my favorites Buddy Guy, BB King, and Bonnie Raitt, plus Odetta, Dr. John, Keb’ Mo, Alison Krauss, Jimmie Vaughan, and John Fogerty. All of the performances were stellar, especially appearances by blues legends like Honeyboy Edward and Clarence “Gatemouth” Brown. There’s one awkward moment about a half hour in. Ruth Brown, Mavis Staples, and Natalie Cole are singing “Men Are Like Streetcars” when Bill Cosby wanders onto the stage to interact with them. They act like they’re happy to see him as he sits down on a chair to their left and, as they continue to sing, he begins mugging for the audience in reaction to the lyrics. It’s a blatant case of a well-known star stealing the spotlight from the three women, who deserved better. Then again, as we now know, a lot of women deserved better than what they got from Cosby. Aside from that, “Lightning In A Bottle,” directed by Antoine Fuqua and exec-produced by Martin Scorsese, is a terrific celebration of the history of the blues and the men and women who have kept that uniquely American musical form alive. I give it an 8.5 out of 10.